Extend the reach of Ethernet cabling with the 20-pack of UF-MM-1G-20 SFP Multi-Mode Fiber Modules from Ubiquiti Networks. These modules each feature LC connectors and support SFP data rates of up to 1.25 Gbps reaching distances of up to 1,804'. 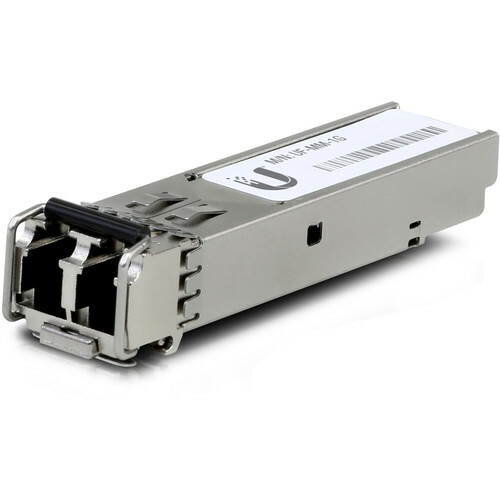 For convenient multi-mode connections that extend beyond the 328' limitation of Ethernet cabling, use the UF-MM-1G-20 for distances of up to 1,804' and speeds of up to 1.25 Gbps. Box Dimensions (LxWxH) 8.1 x 6.2 x 1.5"